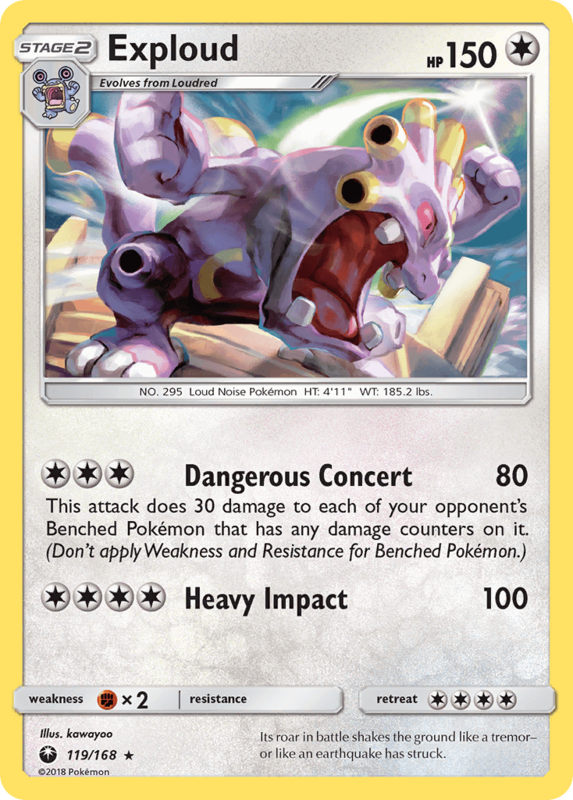 I’m looking a way to use this Pokémon in standard. I made a deck with Exploud, Tapu Koko, and Oranguru (for support), but i need to make it more aggressive, using Koko only in the setup, hurting since the begin until Exploud finally comes out. Can someone suggest some cards? The base of the deck is Exploud family x4, Tapu Koko x3, Oranguru x2. I won’t use GX, because i’m using the anti GX stadium. For the rest, i’m all ears.